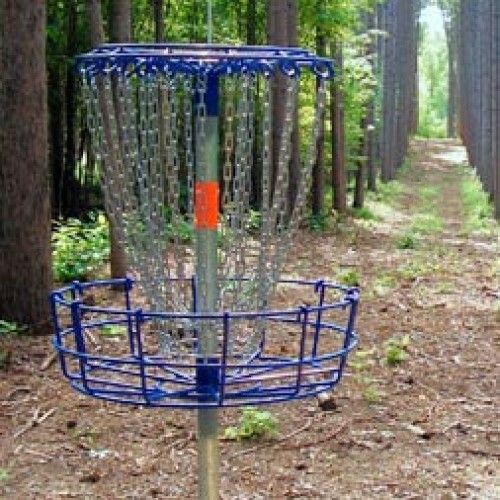 The DGA Mach V Portable disc golf basket is free standing and portable. It has a round metal base with an integrated industrial strength wheel that makes moving it around a breeze. Great for back yards, temporary courses or adding extra holes to an existing course for tournaments and special events.